Brazil’s largest political party looks set to quit the government of leftist president Dilma Rousseff on Tuesday, in a move that would trigger the collapse of the coalition and push her closer to impeachment. The country’s largest party, the PMDB, is set to decide Tuesday whether to quit the leftist leader’s government, but top figures indicated the break was all but final. ‘It will be an exit meeting, a goodbye to the government. We calculate we have a vote of more than 80 per cent in favour of quitting,’ said PMDB lawmaker Osmar Terra. ‘There has been a series of dominoes falling, and it cannot be turned back. The government keeps trying, and offers jobs, but nobody believes it anymore,’ he added. Rousseff, who is fighting recession, scandal, protests and the mounting push to impeach her, met PMDB ministers Monday to try to convince them to stay. 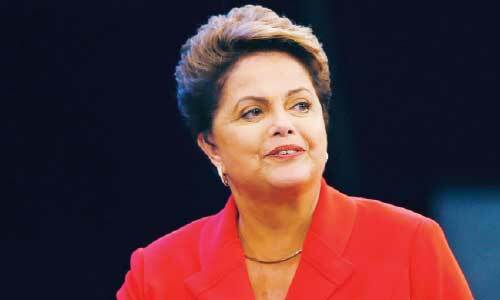 0 Response to "Rousseff faces coalition collapse"